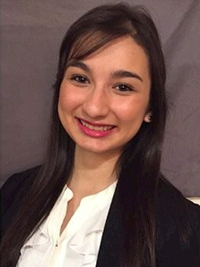 Stefani Anciso (’18) received the School of Hospitality Business Management 2018 Outstanding Senior Award. 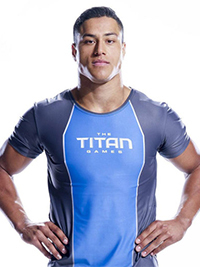 Bridger Buckley, a finance major, successfully competed in Titan Games, a new television show series that aired in January. Read more about Buckley’s experience. Alex Cromer (’18) received the School of Hospitality Business Management 2018 Outstanding Academic Award for the highest GPA. 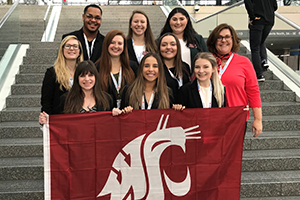 The WSU PCMA student chapter earned a Student Chapter of the Year award, which includes $1,000, from the PCMA Education Foundation. The award will be used to fund educational community service or membership programs during the 2019 school year. PCMA is the world’s largest network of business events strategists with global partners and collaborators across 37 countries. 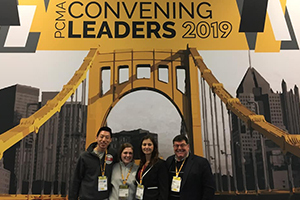 WSU Everett hospitality seniors Spencer Fee and Olivia Ericksen received the award on behalf of the chapter at the Convening Leaders National PCMA Conference in Pittsburg in early January. They participated in student professional development meetings, educational sessions, technology demonstrations, networking sessions, and listened to key note speakers. Mark Beattie, associate vice chancellor for academic affairs and clinical assistant professor of hospitality at WSU Everett, and Angie Senter, Carson event coordinator, also attended to learn more about best practices and funding for research and scholarship from the PCMA foundation. Back row, from left: Justin Walker, Sami Carone, Rosa Michaelis, Bayley McInerney, Claire Bryant, Jaden Lohman, Jenni Sandstrom, Amber Kruger-Mauldin, Lexi Johnson, and Spenser Peery. Proceeds from Brewfest and Winefest supported several members of Carson hospitality student clubs to attend the 2018 HX Hotel Experience hotel show in New York City. Students were eligible for the trip if they had participated in Brewfest, Winefest, or other Sigma Iota activities, says advisor Jenni Sandstrom, clinical assistant professor of hospitality business management. During the HX Experience, students attended presentations and the trade show and experienced some of the sights and attractions of New York City. From left, Peter Tang, Frank Nenninger, and Chad Schmitt. 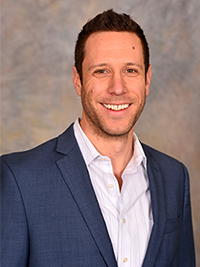 Frank Nenninger (’18 MBA) was a member of a team of WSU pharmacy students who captured the championship title in the National Community Pharmacists Association’s 2018 Good Neighbor Pharmacy Pruitt-Schutte Student Business Plan Competition. Their winning business plan focuses on using both innovative and old‑fashioned strategies to expand access to health services and specialty care in the Yakima Valley through online self‑service and a mobile app for custom compounding, diabetes therapy management, and education services. 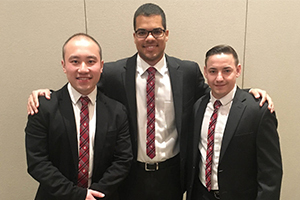 Nenninger, Chad Schmitt and Peter Tang competed at the NCPA Annual Convention in Boston and beat finalist teams from University of Missouri Kansas City and Ohio Northern University. Their first place prize includes $3,000 to WSU’s NCPA student chapter and $3,000 contributed to the school in the dean’s name to promote independent pharmacy. The team’s members, advisor, and dean also will receive complimentary registration, travel and lodging to NCPA’s 2019 conference. 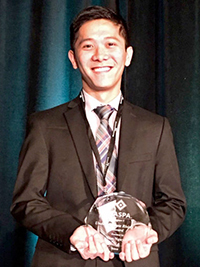 Nam Nguyen, international business and marketing senior, received the Region V Undergraduate Rising Star Award from the National Association of Student Personnel Administrators (NASPA). 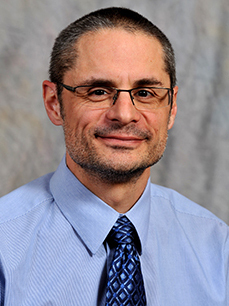 He also received the 2019 Excellence in Diversity & Inclusion in International Education Award for the Global Student Leadership, Undergraduate Student category from Diversity Abroad, an organization that connects diverse students, recent graduates, and young professionals with international study, internship, teaching, volunteer, and degree and job opportunities. Nguyen was recognized for his work exemplifying the practices that increase access, foster diversity, and promote inclusion in international education and exchange. 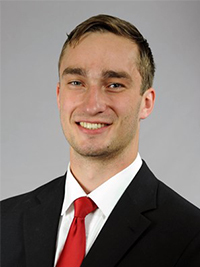 Jeff Pollard, a junior on the WSU men’s basketball team and management operations major, was named as a WSU Academic Services Student Athlete of the month for December 2018. He plans to pursue a master’s in business administration during his fourth year of eligibility. 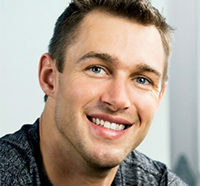 He is actively involved in the Student-Athlete Advisory Committee (SAAC), PAC, and his church. Chadwick Stuart (’17 Mktg. 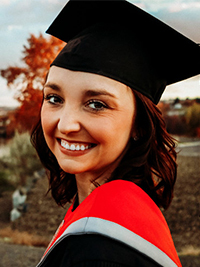 ), a recent graduate of the WSU Vancouver Professional Sales Certificate Program, was awarded Salesperson of the Year by Merrick Pet Care at its national sales meeting in February. The certificate is offered through the Professional Sales Program that prepares students for marketing careers in professional sales and customer account management. The program collaborates with leading local businesses to provide hands-on experience and help students develop the skills needed for any type of persuasive communication. One of the greatest advantages of the Carson College’s online master of business education programs is the cross-pollination of ideas among students, faculty, alumni, and industry. Recently, Executive MBA director Velle Kolde led several online Executive MBA students on tour of Microsoft’s Cyber Defense Operations Center (CDOC) and its Cybercrime Center to learn about the company’s efforts to combat cyber adversaries. 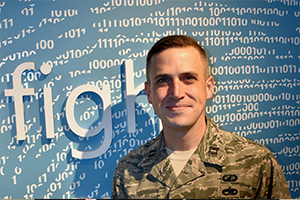 Since opening, the CDOC has advanced the policies and practices that accelerate the detection, identification and resolution of cybersecurity threats, and has shared key learnings with the thousands of enterprise customers on similar visits. During the tour of the Cyber Crime Center, WSU students were introduced to the Digital Crimes Unit (DCU) programs focusing on tech support fraud, online child exploitation, cloud crime and malware, global strategic enforcement and nation-state actors. The tour highlighted how the DCU uses the innovative application of technology, forensics, law and public and private partnerships to drive enforcement and deterrence for each of these programs. Students also had the opportunity to converse with Bret Arsenault, Microsoft corporate vice president and chief information security officer. Steve Gleason (’00 Bus. Admin.) is the first NFL player and just the eighth individual athlete ever to receive a Congressional Gold Medal, which is considered the highest honor that Congress can award to a civilian. 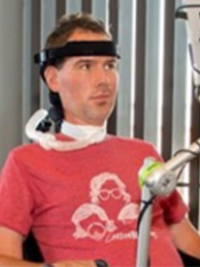 Gleason, a former special teams standout with the New Orleans Saints, has become a renowned advocate for those with ALS and other neuromuscular disorders since he was diagnosed himself with the debilitating disease, also known as Lou Gehrig’s disease, in 2011. 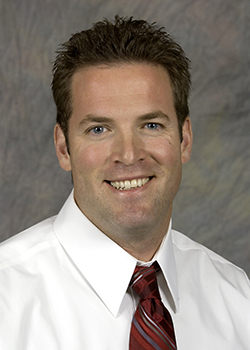 Read more about Gleason’s recognition. 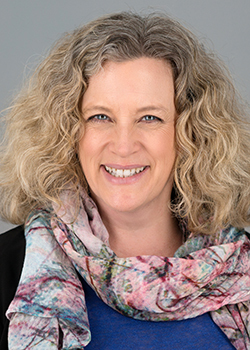 Deborah Compeau, senior associate dean for faculty affairs and research and professor of information systems, was recently named a fellow of the Association for Information Systems (AIS). The award recognizes individuals who have made outstanding contributions to the field of information systems through research, teaching, and service. Read more about Compeau’s award. Stergios Fotopoulos, professor of finance and management science, was invited to participate in the International Teaching Week Program organized by the University of Pécs in Hungary. Participants deliver guest lectures and participate in workshops. The program allows local students to have international experiences in their usual classroom at home while becoming part of an international learning environment with professors from all over the world. Dr. Jeff Gramlich with students at Monterrey TEC. 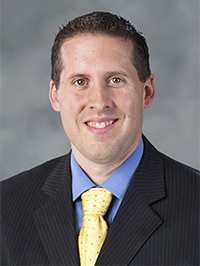 Jeff Gramlich, Howard D. and B. Phyllis Hoops Endowed Chair in Accounting and director of the Hoops Institute of Taxation Research and Policy, was selected by the Carson College’s partner university, Tecnologico de Monterrey Campus Queretaro, to participate in its 2019 Global Faculty program. The one-week program enables professors to work in a multicultural environment and have the opportunity to meet and develop networks with international colleagues from all around the world. 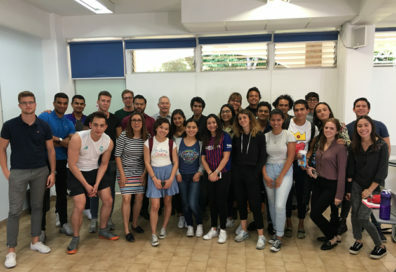 During this unique experience, Gramlich will teach on campus, interact with local faculty, and experience Mexico’s culture through visits to sites and attractions. 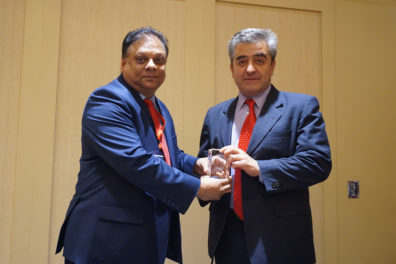 University of Delaware Professor Srikanth Beldona (left) presents Dogan Gursoy with the Michael D. Olsen Research Achievement Award. 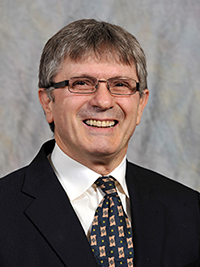 Dogan Gursoy, Taco Bell Distinguished Professor in the School of Hospitality Business Management, received the Michael D. Olsen Research Achievement Award. The award recognizes those who have made a significant contribution through research contributing to the body of knowledge in the hospitality and tourism industries. Read more about Gursoy’s award. Gursoy gave an invited speech “Impacts of Service Failure and Recovery Efforts on Airline Customers’ Emotions and Satisfaction,” at the Nankai University in Tianjin, China, as part of their 100-year celebration in December. 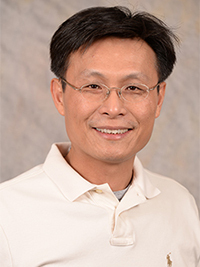 He also has five papers recently accepted for publication: Gursoy, D., Zhang, C., & Chi, O. H. (Forthcoming). “Determinants of Locals’ Heritage Resource Protection and Conservation Responsibility Behaviors.” International Journal of Contemporary Hospitality Management. Lu, L., Cai, R., & Gursoy, D. (Forthcoming). “Developing and Validating a Service Robot Integration Willingness Scale.” International Journal of Hospitality Management. Pan, L., Xu, X. A., Lu, L., & Gursoy, D. (Forthcoming). “How Cultural Confidence Affects Local Residents’ Wellbeing.” The Service Industries Journal, 1–25. Wang, Y., Shi, S., Chen, Y., & Gursoy, D. (Forthcoming). 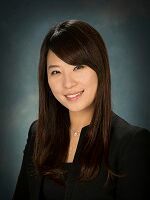 “An Examination of Market Orientation and Environmental Marketing Strategy: The case of Chinese firms.” The Service Industries Journal. 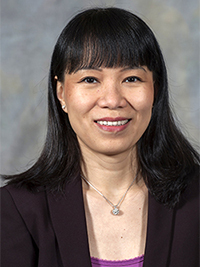 Zhang, M., Zhang, G. Y., Gursoy, D., & Fu, X. R. (2018). “Message Framing and Regulatory Focus Effects on Destination Image Formation.” Tourism Management, 69, 397–407. 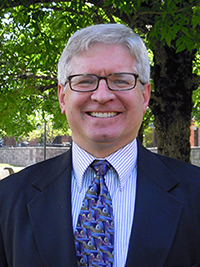 Jeff Joireman, association professor of marketing, recently had two papers accepted for publication: Min, H., Joireman, J., & Kim, J. (in press). “Understanding Why Anger Predicts Intention to Complain Among High but Not Low Power Customers: A Test of Competing Models.” Journal of Business Research. Grégoire, Y, Legoux, R., Tripp, T., Radanielina-Hita, M.-L., Joireman, J., & Rotman, J. (in press). “What Do Online Complainers Want? An Examination of the Justice Motivations, the Moral Implications and the Post-complaint Benefits of Vigilante and Reparation Schemas.” Journal of Business Ethics. Chadwick J. Miller, assistant professor of marketing, and coauthors recently published a research article: Miller, Chadwick J., Wiles, Michael A., and Park, Sungho (2019), “Trading on Up: An Examination of Factors Influencing the Degree of Upgrade: Evidence from Cash for Clunkers.” Journal of Marketing 83 (1), 151–172. Hospitality faculty Soobin Seo, assistant professor, and Christina Chi, professor, attended the 2018 EuroCHRIE meeting in Dublin, Ireland. Seo presented papers on virtual reality and brand crisis, and Chi presented a paper on organic wine consumption.